I hope what I’m about to write makes sense. Because in my current state of sleep deprivation, things are a bit fuzzy. You see, I was in Portland, Oregon last week conferencing and having a heck of a fun time. There were donuts, beers, cocktails, old friends, new friends and several late nights in a row. And to finish things out, I took the red-eye home. Woof. I’m still feeling the effects of that overnight flight today. And all those other decisions that I made about sugar and alcohol consumption are catching up with me, too. I see a nap in my near future. I’m too tired to even think of a brilliant segue for right here. Forgive me. So how do you guys feel about leftovers? Personally, I love them because they give me a little break from the normal cooking routine. And that is something that is always much appreciated. Usually I try to re-purpose my leftovers into a new dish, or else they start feeling a bit tired and boring by around day three. Kind of like how I’m feeling right now. So when I found myself with a lot of leftover shredded barbecue beef from making tacos recently, I decided to stuff some of it into a few baked potatoes for a new spin. Which seriously has got to be one of the best decisions I’ve made in a while. Comfort food WIN! Wait. I take that back. Making a savory-sweet tomatillo jam for topping these stuffed baked potatoes was an even better decision. Because holy smokes is this stuff addicting! 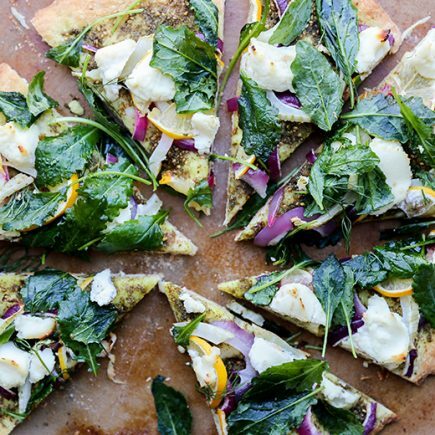 You’ll want to put it on anything and everything that comes out of your kitchen. 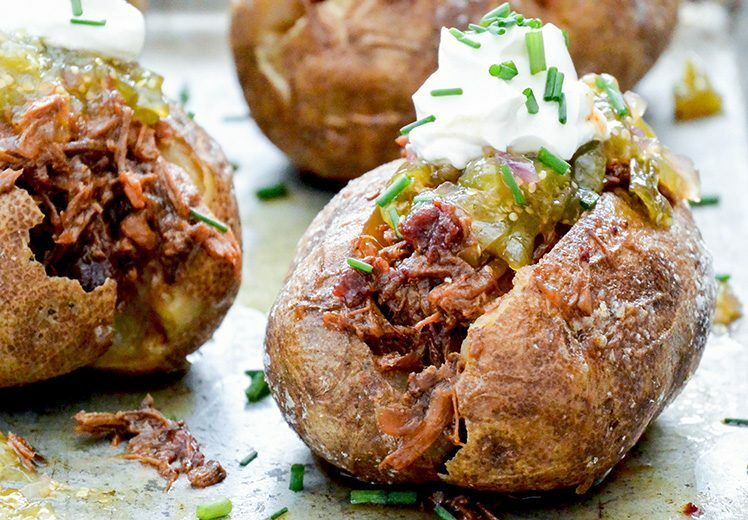 These Baked Potatoes with Shredded Barbecue Beef and Tomatillo Jam are so good, no one would ever guess you made them with leftovers! Make the shredded barbecue beef. Place the beef roast in your slow cooker and set aside. In a large non-stick skillet, heat the vegetable oil over medium-high heat. Add the diced onions and cook until softened, about 5 minutes. Stir in the minced garlic and the remaining ingredients and let the sauce simmer for about 5 minutes, stirring occasionally. Pour the sauce over the beef roast in your slow cooker. Cover and cook on LOW for 10-12 hours or on HIGH for about 6 hours. Then using a couple of forks, pull the beef apart into shreds. It should come apart very easily at this point. Let the shredded beef continue to cook for an additional 20-30 minutes. 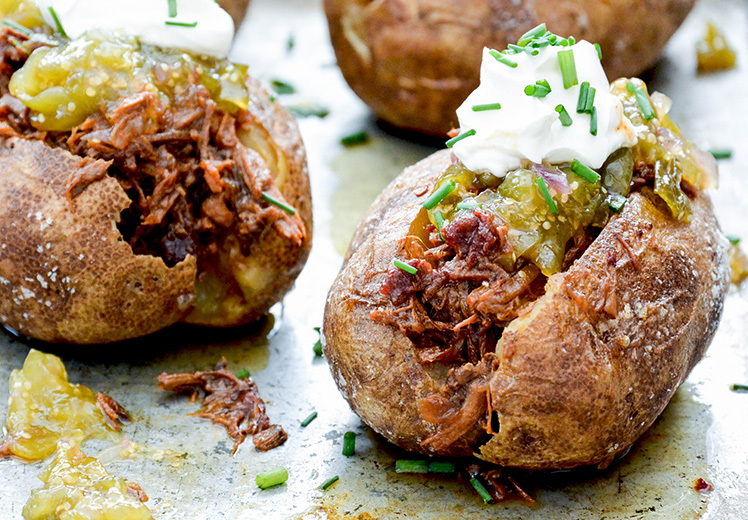 This recipe makes more shredded barbecue beef than you’ll need for the baked potatoes. Leftovers can be stored in an airtight container in your refrigerator 2-3 days. They make great tacos and sandwiches! While the beef is cooking, make the tomatillo jam. Remove and discard the papery husks from the tomatillos. Rinse them well and then chop roughly. Toss the chopped tomatillos into a bowl with the sugar. Let them sit at room temperature for about 1 hour, stirring once or twice during this time. Heat a large non-stick skillet over medium-high heat. Add the tomatillos, any accumulated juices and the shallots. Cook, stirring frequently for about 15 minutes, or until the jam has thickened and the tomatillos are almost broken down. Stir in the remaining ingredients and cook for an additional 1-2 minutes. Remove from the heat and set aside. Once cooled, the tomatillo jam can be stored in an airtight container in your refrigerator for about 1 week. Bake the potatoes. Pre-heat your oven to 350 degrees. Using a fork, poke several holes all over the surface of the potatoes. Lightly coat the potatoes in the olive oil and sprinkle with salt on all side. Place the potatoes directly on your middle oven rack. On the lower rack, place a baking sheet or piece of aluminum foil to catch any drips. Bake for 60-70 minutes. The flesh should be soft and a small knife should go into the potatoes easily. Carefully remove the potatoes from the oven. Assemble the baked potatoes. Cut a slit into the top of each potato and then gently squeeze together the ends to create an opening. Stuff some of the shredded barbecue beef into each potato. Top with the tomatillo jam, a dollop of sour cream and some minced chives. Serve immediately. First off, so good to see you last weekend! I hope that you can get your recovery on quickly! And these potatoes? UMMMM where have they been all my boring-butter-and-salt-on-a-baked-potato life?! That tomatillo jam is EPIC. Pinned! Now this is my kind of baked potato! Love all that filling! Genius! Thanks, Jen! I hope you try them out! I’m not a huge fan of leftovers but I would eat these baked potatoes in no time! 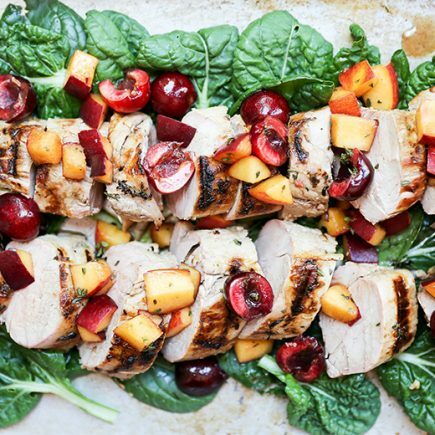 I like to get creative with my leftovers if I’m going to eat them, so I’m loving this fun twist! Sounds so delish, Liz! Delicious! I love baked potatoes when they’re loaded with toppings! Loving the tomatillo jam! Thanks, Jennifer! I’m obsessed with the jam too! Ohhh my! This looks fantastic. My husband will be away for four days later this month. This will be on my “splurge” menu! Nice! Sounds like a good plan! Such an awesome idea for leftovers! Thanks, Sam. You’re going to love the tomatillo jam! Loving all these fun jams you’ve been doing lately Liz! This tomatillo jam sounds so delicious. And brilliant way to use up leftover shredded bbq beef. Yum! I am all about reusing leftovers – when my husband was alive he hated leftovers – the only thing he’d eat leftover was cold fried chicken or a cold meatloaf sandwich – gross! Yeah, I might have had a little too much fun! Ha ha! No regrets. Even though I’m suffering some today! I’d be crazy over these leftovers! If the shredded beef wasn’t enough, you went and made tomatillo jam — that sounds amazing! Thanks, Marcie. I’m kind of crazy over them too! Ahh, I’m a horrible roomie! I kept you up BOTH nights!! But you left out the giraffe bathrobe, by the way. I always have potatoes lying around, and this is such a fantastic way to use up leftovers. Anyway, SO GOOD to see you again last weekend! You are most certainly NOT a terrible roommate. I’d do it again in a second. Ha ha. Those bathrobes though. So silly! So excited for your good time… but, gah! on the red eye! That ‘s a hard one to get over! Dang it! Leftovers are fabulous and stuffing a baked potato with leftovers is even better! The tomatillo jam sounds fabulous… this would be excellent on a taco or burger… so delicious Liz! Get some rest! Yup, you should definitely try out the tomatillo jam. It’s great on all kinds of sandwiches! So, these are probably the most inventive stuffed baked potatoes that I have EVER SEEN. Tomatillo jam?! I need. I love leftovers! Often I’m too busy baking to worry about making supper. Lol. Love these! UMMMMMMM HELLO! You’re speaking to me here, Liz. You’re speaking to me through this potato. Love it. Potato phone! Ha ha ha! Gosh, I’m such a weirdo!